It’s a week before every certified geek in the world would drop everything to get their Zerg on. 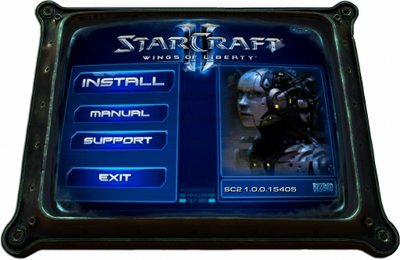 Now, a lot of people have already reserved their copy of StarCraft II from DataBlitz, but I’m more of a digital download guy: less clutter for my room, the better. Fortunately, Blizzard is now using this opportunity to sell the new Battle.net as a viable digital distribution platform just like what Valve did when they made Half-Life 2 a Steam exclusive. Unfortunately, as with Steam half a decade ago, the current version of Battle.net is crap in terms of actually distributing the data. Unlike Steam’s high-speed global CDN, Battle.net uses BitTorrent. Now that would be nice if only their BitTorrent client isn’t crap — the one bundled with their installers gives you limited settings on how the torrent is downloaded and shared. Thankfully, it’s easy to extract the torrent file from their installers. 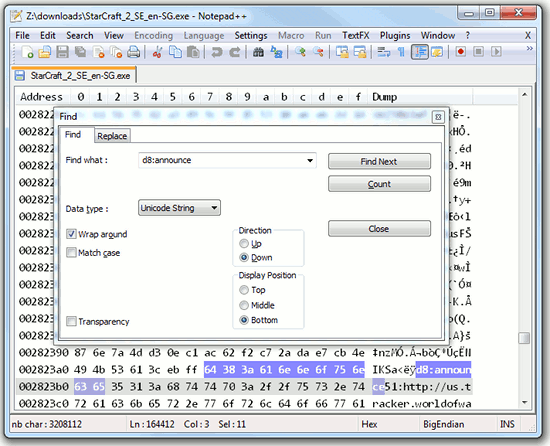 All you need is a Hex editor. Open the installer using a Hex editor and look for a string “d8:announce”. This marks the beginning of the torrent file. Delete everything before “d8:announce” and save it as a .torrent file. You should now be able to use any BitTorrent client on the file.